We regularly receive referrals from Dentists, Midwives, Lactation Consultants, and Orofacial Myologists to help with breastfeeding and mouth-related issues. However, a referral is not required, and you can book an appointment directly with us. How is Chiropractic related to Breastfeeding and Tongue Tie? Let’s first discuss breastfeeding in general. 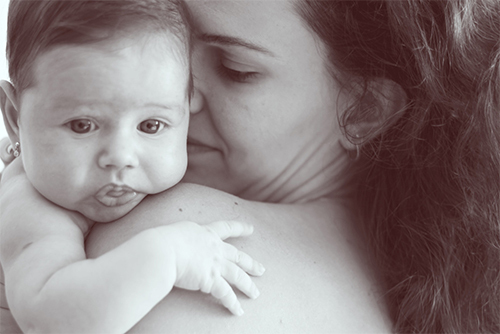 A synchronous connection between mum and baby is essential for effortless breast feeding. The mother must be able to manoeuvre and position their baby in a way that is comfortable and easy for both of them. When difficulty is present, as chiropractors, we recommend that both the mum and baby be assessed for physical spinal stress that may negatively impact this connection. So What about Tongue and Lip Tie? What is the purpose of chiropractic in this situation? Ideally, your baby would be seen by us a couple of times prior to the ties being surgically removed, and then again afterward for more visits as found to be appropriate at the time of initial assessment. Chiropractic care will be to assess and address tension through the muscles of the mouth, jaw, and neck as well as any restrictions in neck movement that may impact breastfeeding. The chiropractor will ensure that you are feeling comfortable with your post surgery mouth exercises at home and give you some advice at the appropriate time to improve tongue strength for improved feeding. We will take a thorough history of both mum and baby’s health status. We will explain our examination findings, and discuss if you are in the right place for help, or if you should be more appropriately directed to another health professional for care. If we do find that you are in the right place for help; we will present you with our recommendations, and should you choose, we will then provide our first chiropractic adjustment. A chiropractic adjustment is what a chiropractor does to improve the function of the joints of the spine. In a child and infant it is very gentle - there is no “cracking”. Everything will be explained to you to ensure you feel comfortable every step of the way before we perform anything on you or your child. We have an amazing network of health care providers that work with us as a team. They have expertise in various aspects of breastfeeding issues. This team includes Dentists, Lactation Consultants, Midwives, and Orofacial Myologists. If you have a question, don’t hesitate to call or email. We’d be happy to help and guide you. All of our chiropractors have training and many years experience working with infants and children. Dr. Nik Dukovac in particular has done training with the Tongue Tie Institute.